Presented by the American Cheese Society, entity considered the industry authority when it comes to promoting high standards with special emphasis on safety and sustainability, the US Cheese Championship presents a one-of-a- kind opportunity for competitors to solidify their place within the industry and within consumers’ preference. 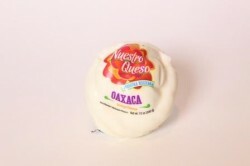 Among the great product line produced by “Nuestro Queso,” the following cheeses received distinctions based on their exquisite taste, utmost quality, and supreme authenticity: first place in the Fresh Cheese category (Queso Fresco), and second place with its Panela Cheese under the same category, as well as second place with its Oaxaca Cheese in the String Cheese category. All of the products that received recognition did so because of their taste, freshness, and quality.